Apple has released a new Mac App Store app named Apple Configurator which allows businesses and educational institutions to more easily and massively deploy and manage iPhones, iPod touches, and iPads.You can sync and manage up to 30 devices at a time including updating the OS, managing applications, profiles, backups, and more. Even if you have a large family with many iOS devices (or you work as a developer or blogger who has to test a ton of personal devices), Configurator can make your life a lot easier than iTunes ever did. I spent a little bit of time today playing around with Apple Configurator and the many iPhones, iPod touches, and iPadsI have laying around the office. It's a free download from the Mac App Store, so it's a no brainer for any administrator, from enterprise to education to home, but it could still use some work. While the main implementation is nice and pretty easy to navigate through, when you get to installing profiles, a few things could be tweaked to make for a better administration experience. I see this being an effortless tool for schools to use in conjunction with syncing carts. You'll be able to easily sync textbooks to devices based on any other classification you'd like to use. 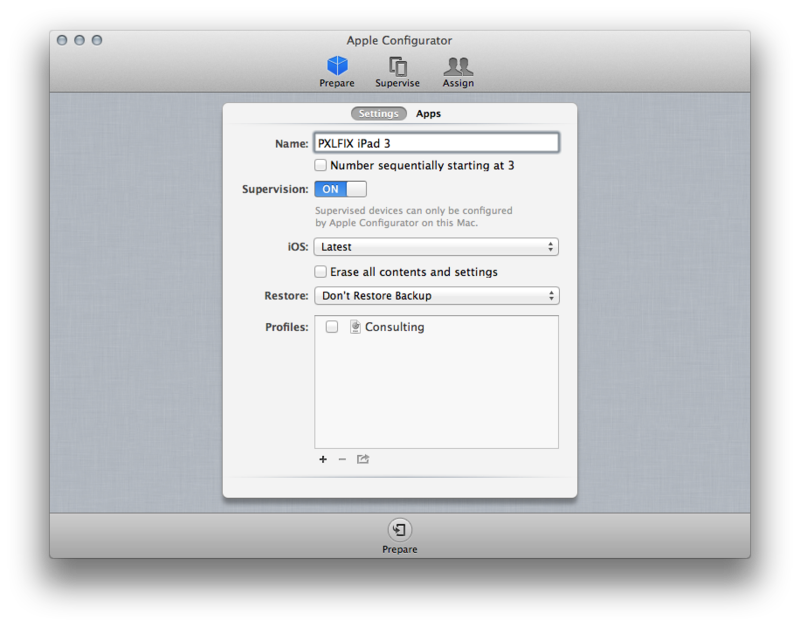 You also have the ability to assign users and only copy files to specific devices as well, or as a group. This should make it easy for educational institutions to group grades or different classrooms together and install the same device backup on every device at the same time. If you add a new device you can simply restore it from a backup of a device from that group. For larger businesses and any company that needs to have some pretty heavy permissions and profiles installed, it's a great start but could still use a bit of refining as well as a few more options. For small businesses and education purposes, and even home use, Configurator will make for a nice and easy way to get content to end users quicker and more efficiently.